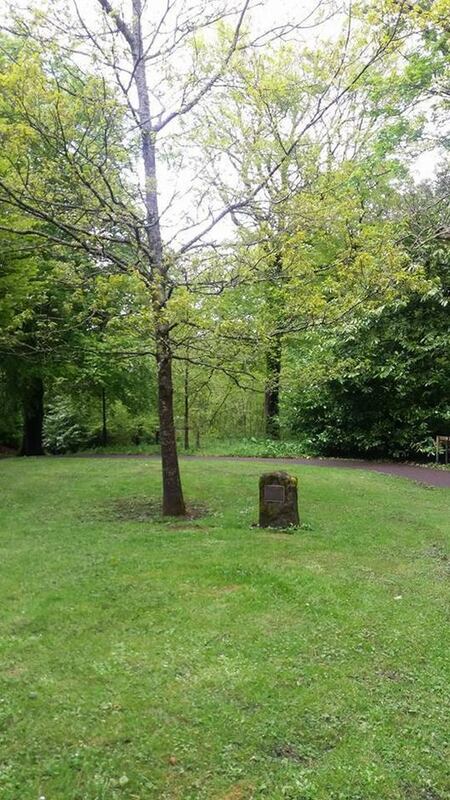 Aneurin Bevan memorial stone and tree at Bedwellty Park, Tredegar (Nye's birthplace and the origin of the NHS.) 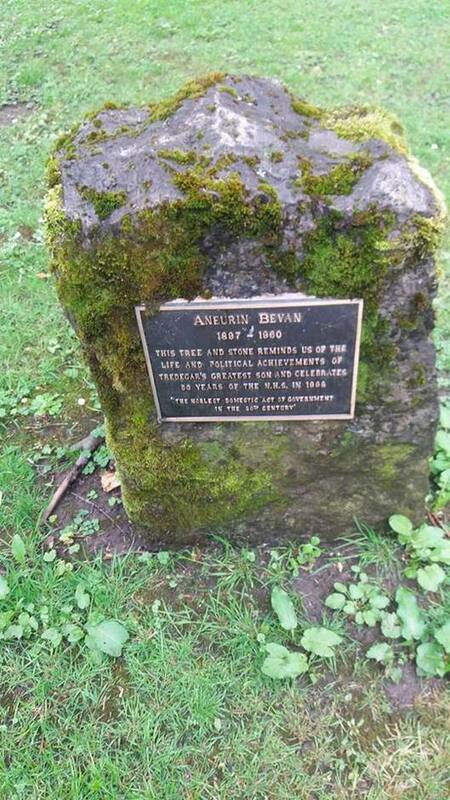 Plaque reads: "Aneurin Bevan 1897 - 1960. 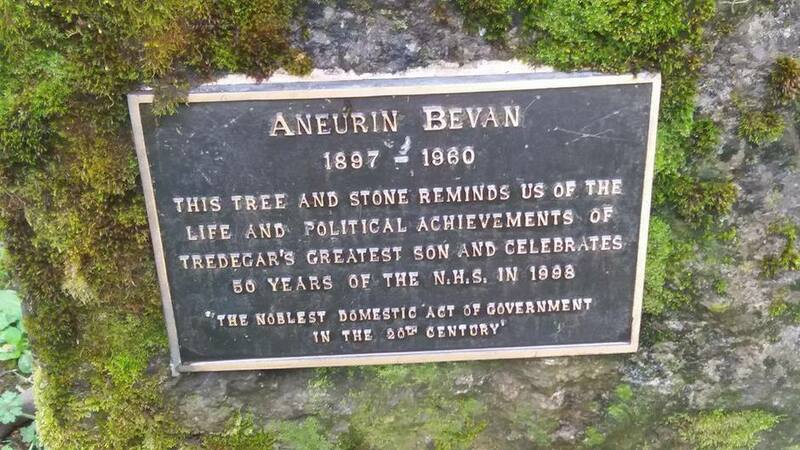 This tree and stone reminds us of the life and political achievements of Tredegar's greatest son and celebrates 50 years of the NHS in 1998. 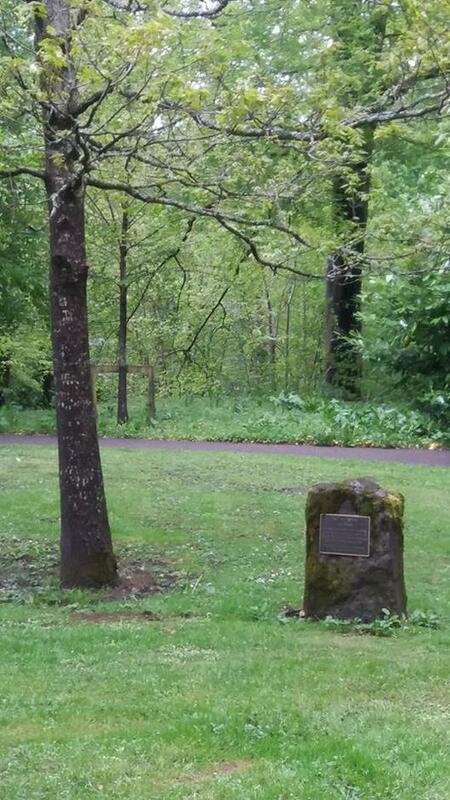 'The noblest domestic act of government in the 20th century."